Rafting is a wonderful way for mental break from the busy lifestyle. It is a great group sports and always leads to team building. The full dose of freshness from the river will charge you with positive emotions. 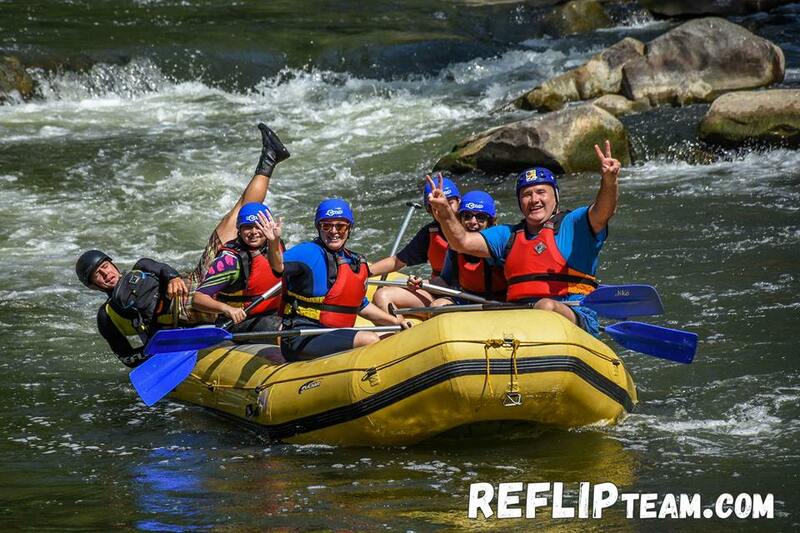 Rafting clears the mind from the stress, you meet new people and you touch the unknown. 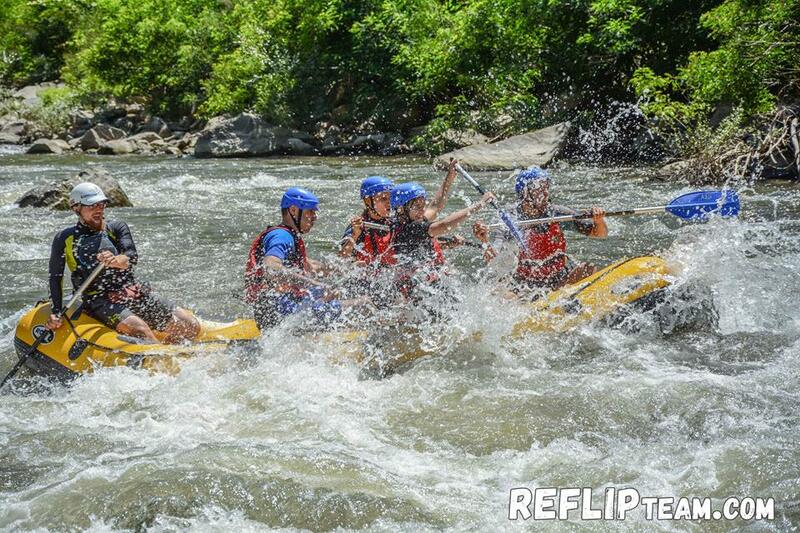 Best conditions for rafting in Bulgaria are on rivers Struma, Arda and Iskar. The best months for rafting are February, March, April, May, June and July, August depending on the level of the river. In the summer Struma river is running pretty good and we continue until November. 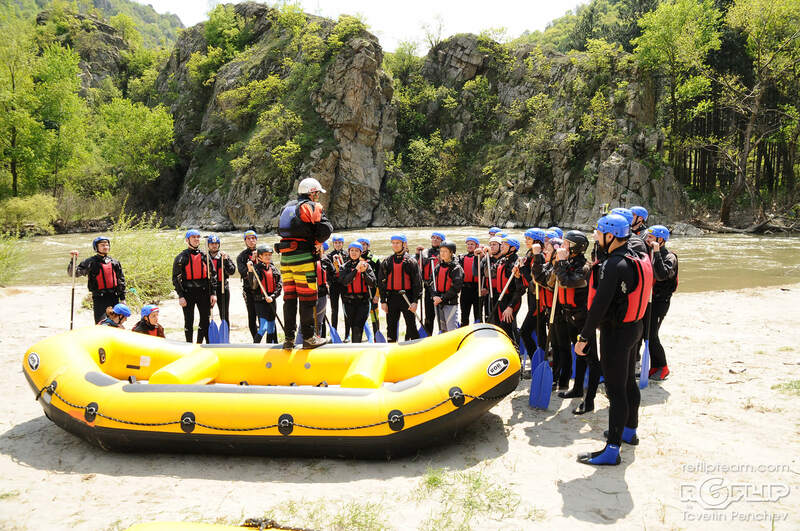 Before boarding the rafting instructor will make a detailed safety briefing for fast-flowing rivers. You will learn how to paddle, how to swim and what can happen in the river. 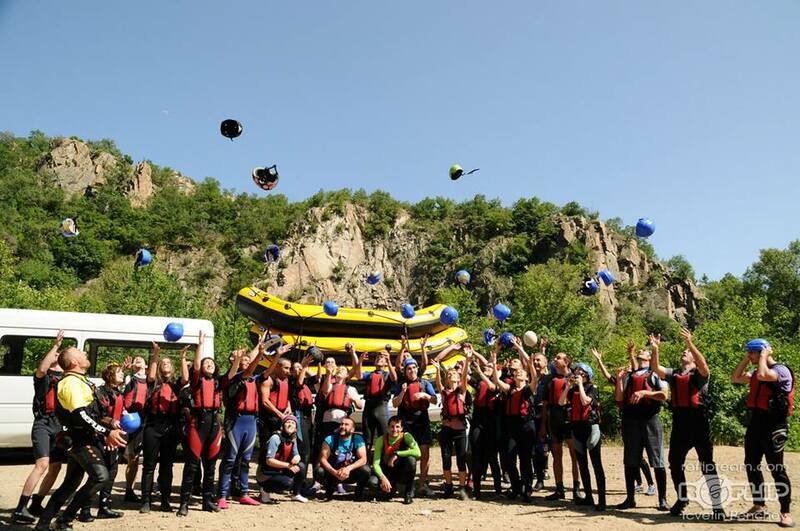 It all starts 120 km away from Sofia, Bulgaria in the heart of the Kresna gorge – Rafting center Reflip. There you will be equipped with the necessary gear for rafting in changing rooms. You will have a safe place to leave your belongings. Whether its your first time or you have already descended you will have mandatory safety briefing in the river. Ready for adventure. You will take your positions on the boats and go down. 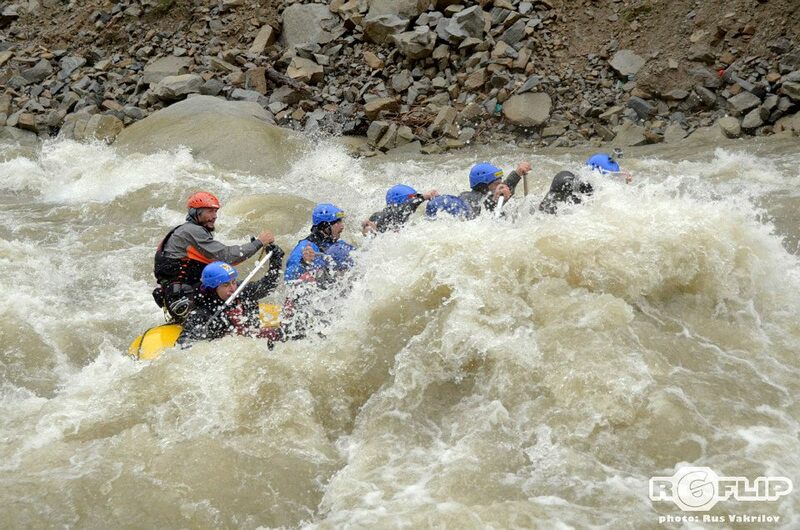 The descent lasts about 2 hours, going through numerous rapids with different difficulty. During the descent, you can swim in the waters of the Struma River and jump off cliffs if you desire. After completing the descent you will be taken back to the Rafting center Reflip. After a hard day of paddling, you can eat freshly prepared steaks in the Kresna inns. With terraces above the river you can watch the passing rafting boats and sit under the shade of the platanus trees. It will be a fitting end to the rafting adventure. Domestic milk, cheese and jams are your tasty temptation for home. Those of you who want more adventure and have more energy, a zip line stretched over the river and nearby canyons Shaitan dere and Platanova forest are available to them. Besides being able to fly over the river, you can walk around the waterfalls and enjoy the flying vultures or go on the trails for turtles. The unforgettable experience awaits you! Descending the beautiful Kresna Gorge. The program is suitable for families who want to have fun with their children. After equipping with the necessary gear and doing the mandatory safety briefing begins the rafting adventure. You will see nestled in the rocks vultures and cormorants. Will go down in the heart of the reserve Tisata – the largest habitat of juniper in Europe. You can jump into the waters of the Struma River. Лength of descent is about 2 hours. Two-day adventure in the canyon of the Arda River. Pass total for two days about 50km from Arda, each days paddling down the river is about 4-5 hours. 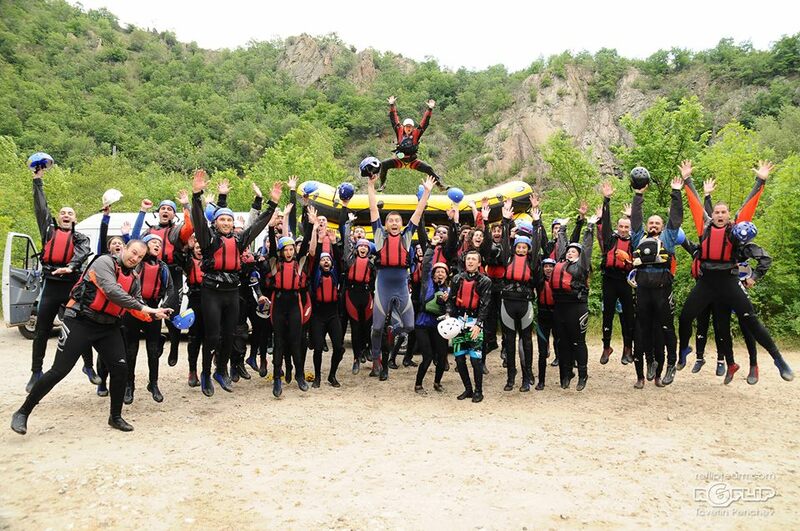 We recommend that you have tried rafting before, to have an idea of what you are getting in. After rafting on the first day on the Arda River we will make camp to the old Devil’s Bridge, which was built in the early 16th century by order and desire of Sultan Selim I-st and in 1984 was declared a cultural monument. A dinner under the stars is awaiting us. On the morning of the second day, after a breakfast along Devil’s Bridge we will go down the Arda River. 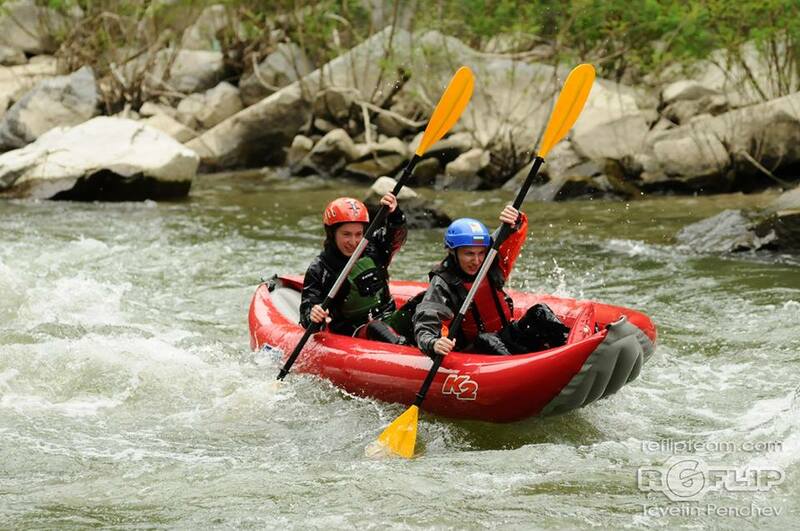 We pass through numerous rapids with varying degrees of difficulty and the descent of the day lasts about four hours. In the early afternoon, we end our descent to the dam of Kardzhali. Take control in your hands. Go in a smaller inflatable boat and let your guide lead the way trough the rapids with his kayak. This is a good way to smooth relations with your spouse and improve synergy and understanding of each other. You will learn to paddle in fast-flowing rivers and will acquire basic skills to manage kayak/canoe. The duration of the descent is about 3 hours. After completion of the descent, we will take you back to the base, where we dressed. We offer a choice of boats – inflatable kayak or canoe. The number of kayakers that can join the trip is from 1 to 12. Safety is in our top ten priorities. After shoe size and looking good. 😀 The joke aside. We will provide wetsuit, neoprene boots, life jacket, helmet and jacket. They are a mandatory part of every rafting trip. Vest and helmet, once put on, shouldn`t be removed in the river. On different continents, people use a variety of clothing depending on the climate. In the North, they enjoy dry suits, while in the South they prefer T-shirts and shorts, and we in Europe use the most comfortable thing – a wetsuit. The wetsuit is made out of Neoprene. This is a type of synthetic rubber. It keeps you warm, its elastic and soft- all these qualities make it perfect for keeping you safe while swimming in cold waters. The first trips with tourist in Bulgaria were in 2002. At the beginning little was known of the sport. In time interest in it grew. In time safety procedures were established and the sport developed. Our founder Veselin Paunovski was the first licensed guide in Bulgaria.